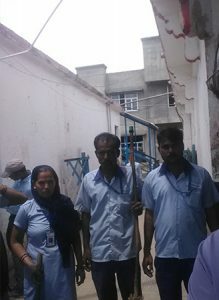 Under the aegis of Dr O P Bhalla Foundation and under Swachh Bharat Abhiyaan, the Faculty of Management Studies recently organized a cleanliness drive at the Old Faridabad Railway Station. Along with housekeeping staff, Mr. Manoj Jha also went for the cleanliness drive. 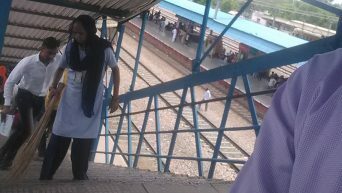 The team cleaned the platform and stairs as directed by the Railway staff member. They returned to the campus with utmost joy and a feeling of belongingness.